Thousands of years of case studies, applied theories and rigorous analysis have brought modern medicine to the point that childbirth now is a much safer prospect for mother and child than it once was. The juxtaposition of the safety of modern birth and the difficulties faced by women of the past can be misleading. Though birth is safer now, it comes with inherent risk. It is a significant biological process that can cause physical stress and trauma to both mother and child if problems arise before or during birth. Many childbirth injuries can be avoided by regular end of pregnancy case with an OB-GYN regularly overseeing a case to pinpoint any potential risk factors before a problem arises. Unfortunately, some birth injuries arise unexpectedly during delivery, with up to 15 percent of women reporting that they sustained pelvic injuries during childbirth that never healed. What Types of Childbirth Injuries Exist? There are a number of different ways that a mother can be injured during birth. While the focus is often given largely to injuries received by infants, maternal injuries can be life altering and very difficult or impossible to recover from. Uterine rupture can take place due to attempting a vaginal birth post C-section. Hemorrhaging from the uterus can cause a woman’s heart rate to drop extremely low, putting both her and her child in mortal danger. Fractures or breaks in pelvic bones can result in extreme pain and loss of mobility. Often, these injuries require follow-up care that can include surgical procedures that interfere with the patient’s ability to recover physically and mentally from giving birth. In a study conducted by Janis Miller, an associate professor at the University of Michigan School of Nursing, along with a team of midwives, radiologists and obstetricians, a group of pregnant women at high risk for pelvic muscle tears were tracked using MRI scans to track injury and healing times. 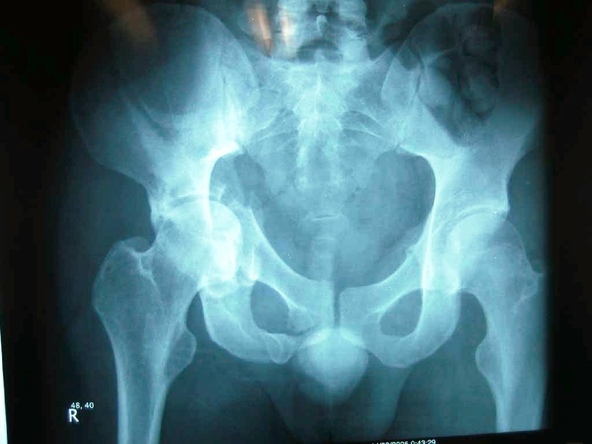 The results concluded that 25 percent of women showed fluid in the pubic bone marrow or sustained fractures similar to a sports-related stress fracture, and 66 percent showed excess fluid in the muscle, which indicates injury similar to a severe muscle strain; 41 percent sustained pelvic muscle tears, with the muscle detaching partially or fully from the pubic bone. With the results in, the team concluded that childbirth is just as traumatic as many endurance sports and tracking injuries via MRI scans should be done more often. How Do Birth Injuries Change the Lives of the Affected? Sometimes, an injury sustained during birth is an inconvenience. A few weeks of recovery allow the mother to heal and move forward as though nothing had ever happened. In some cases, though, birth injuries can have life-altering consequences. A woman who progresses into eclampsia is likely to begin having seizures. If no one is around to find her, her organs will begin to shut down. She will go into a coma and she and her baby will die. This is considered a birth injury because it is a condition that is preventable by delivering a child before pre-eclampsia progresses to this dangerous point. A woman who sustains a serious pelvic break may have to undergo months or years of physical therapy. She will experience a great deal of pain and difficulty while trying to recover from birth and take care of an infant that relies on her for every need. Her mobility may never be the same. She may have pain for the rest of her life. Mental birth injuries are also possible due to traumatic events during the birth process. This can result in depression, post-traumatic stress and suicidal thoughts. Birth injuries can have serious impact, physically and mentally, for a very long time. This can be compounded if a child is injured or killed in the process of sustaining the injury. Physical birth injuries should be given a great deal of attention and care to assure that the mother can recover fully and safely. In most cases, injuries sustained during childbirth should heal by the time the woman receives her 8-month check-up. However, each case varies depending on the situation. The best option is to keep a close watch on recovery and consult a specialist if recovery seems to be taking an excessive amount of time.